Despite their large size, these cans feel lightweight and comfortable. 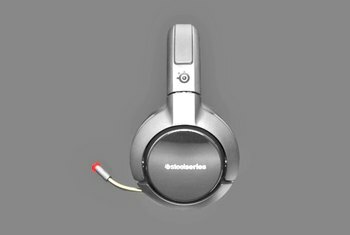 The headphones deliver first-class sound quality. The noise-canceling microphone works great. The GAME ONE is expensive when you consider the skimpy accessories. Specifically, the unit lacks PS4 connectors. The microphone and 3-meter cable are non-removable. 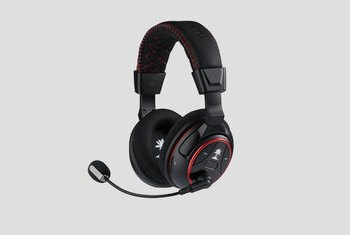 Depending on your build expectations, the headphones may feel flimsy at this price, compared to competitors in its class. 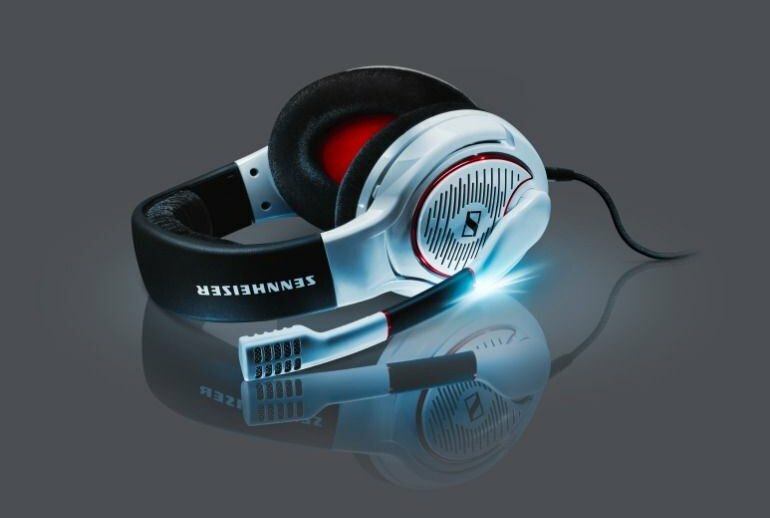 The German headphone maker Sennheiser wants to please two crowds with these cans—the audio fiend and the gamer. The GAME ONE headset comes with hi-fi sound, cushy velvet earpads, an adjustable padded headband, and a noise-canceling mic with a mute function. The earpads sport an open design, so the airflow prevents your noggin from getting hot and bothered. The noise-canceling microphone boasts a flexible and thick boom. The two transducers housed in the GAME ONE are designed to deliver an accurate reproduction of your game’s sound. You have two color options: a black-and-red combo or a white-and-black model with red accents. 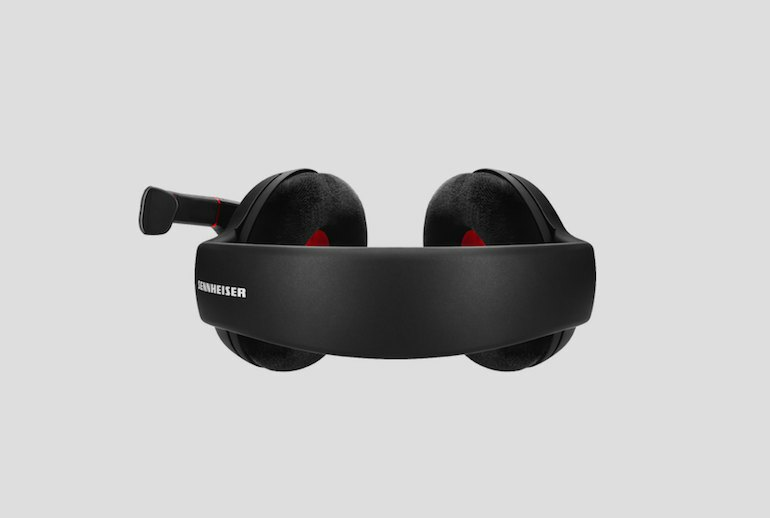 The open design helps broaden the soundstage, so much so that you truly feel like the sounds are coming from all around you—but you have to make sure you aren't in too noisy an environment, or else surrounding clamour will interfere with the sound from the headset. In Battlefield 4, game sounds were reproduced with impressive precision. The explosions were rendered with presence, but didn’t completely overpower other sounds. 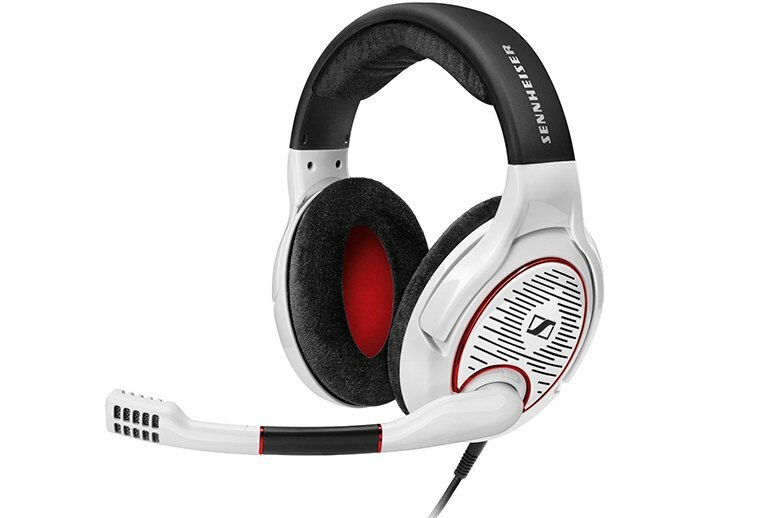 This headset has a more balanced sound stage than many other headsets which are often a little too bass-biased. 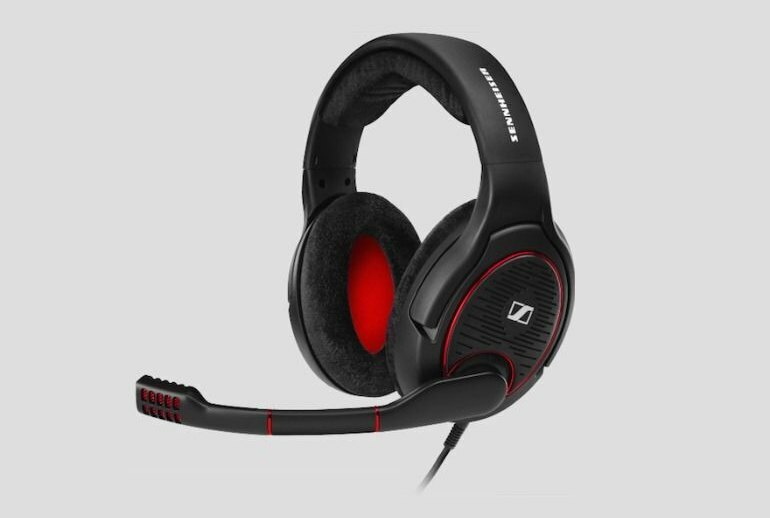 Sennheiser has equipped the G4ME One headset with huge circumaural, velvety-soft over-ear pads that feel great for long hours of gaming. 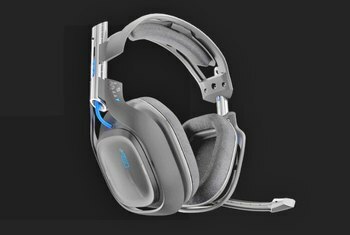 The open-back design means air gets in so your ears breathe and you don’t end up feeling too hot...We’ve played long sessions of Titanfall and Battlefield 4 without needing to remove or adjust them. The attached microphone is also superb... 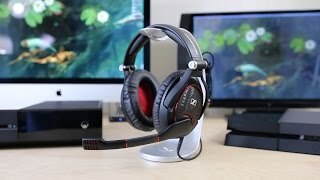 It's easily capable of the sort of quality that console gamers will demand, whilst those of you looking to stream on Twitch or record podcasts on a PC will also find the G4ME One to be everything you need, and a little bit more. 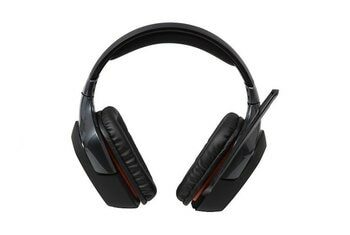 It sounds fantastic, but without it willing to "slum it" in the realm of audio gimmicks and on-headset mixing it feels more like a pair of headphones with a boom mic priced just out of reach of gamers than a useful tool for gaming. Both earpieces are attached on a rotating and folding hinge. 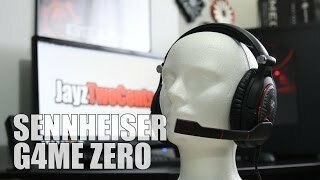 This allowed me to take off the headset and flatten the ear cups on my chest whenever I wanted to take a break from all the gunfire in Call of Duty Ghosts. The audio produced has a very high clarity which is no doubt helped by the open ear cups, but as a result it loses a fair bit of punch in the bass department...[W]ith that slight lack of gravitas from the bass, the audio comes across...in short a little lifeless and unexciting. 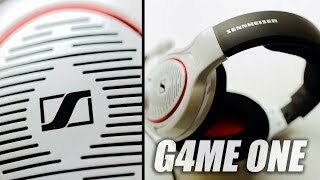 Sennheiser G4ME ZERO Headphones - Audiophile grade gaming? ?